Intelligently control everything from audio to security. 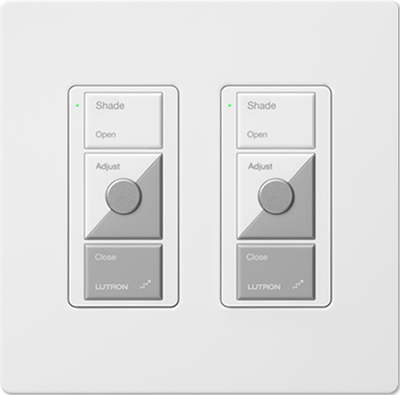 Create an ideal mood and save energy costs with lighting control. Shades that intelligently adjust save time and money. Plus, they look great. Today, our homes are full of devices and electronics. A modern home needs a modern solution: smart home control. When your technology is organized under one control system, you can effortlessly make adjustments. No more fumbling between multiple remotes; you can use your smartphone, tablet, or a universal remote. At the touch of a button, dim your lights, lower the shades, and turn on the audio to create the right mood for your dinner party. On the more practical side, keep tabs on your security system from anywhere. You can even live stream video from your home security cameras! We have solutions for new Prairieville or Baton Rouge constructions and upgrading your current home. Automated lighting control is a powerful tool. By placing all your illumination under one system, you can create the ideal mood for every room and occasion. Whether it's specialized cinematic lighting in your Baton Rouge home theater or a morning setting that creates a lit path from your bedroom to the kitchen, lighting control can provide the answer. Plus, smart lighting can connect to your home security system. If you are away, use your automatic lighting to mimic your activities and deter potential burglary. New construction or upgrade—we will create an ideal lighting solution for you. 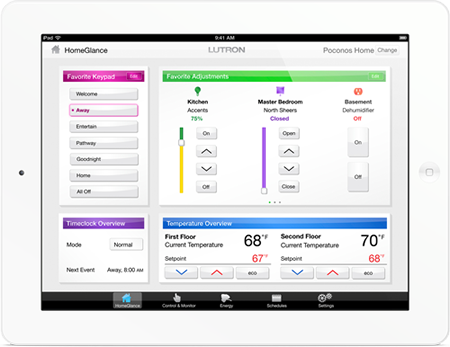 Integration is what smart home automation is all about. When your audio/video, lighting, shades, thermostat, and security systems work together, they all work better. With an integrated system, you can create “scenes” that adjust any or all of these technologies to create the ideal setting for any event. When you’re coming home, use your smartphone to activate a “Welcome” setting. Your smart lock will unlock the front door, a path of outdoor lights will lead you to your foyer, the temperature will adjust, and your favorite song will play to greet you. These settings will adjust to your needs and streamline your daily activities. The everyday and the mundane can be extraordinary with smart home automation. Combine style and utility with motorized shades. These automated window treatments allow you greater control over the sunlight entering your New Orleans home. This ability allows you to increase the comfort of your home, protect your furniture from sun damage, and save on HVAC costs. Along with this functionality, your motorized shades come in hundreds of styles, fabric choices, and colors. Are you confident in your Baton Rouge home’s network? If you experience lag-times and delays, it may be time for an upgrade. A modern home requires a strong network, and this is doubly true when you incorporate smart home automation. It is through the network that your devices communicate with each other and intelligently interact. To ensure you have a high-speed and secure network, we will work with you to find a complete networking solution. We will lay a solid network foundation for today’s technology and for tomorrow’s. The temperature of your New Orleans home can make a huge impact on your comfort and your energy bills. Smart climate control helps you establish an ideal temperature at all times while using less energy in the process. Adjust your temperatures from anywhere using your smartphone or tablet. Create energy-saving settings that turns the AC down while you aren’t at home and up when you are. Monitor your energy use and make changes—in case you left the AC blasting. A smart thermostat is the best way to simplify your day, go green, and save money.